Today、we had a dinner with the people of the Kamigamo Shrine in the Oike restaurant. We were ten people in total: two “Gonneghi” (general clerical workers) and three “Miko” (Shrine maidens) from the Kamigamo Shrine and five planners from the LST Wedding Company. Meanwhile we were having delicious foods; of course, the talks were gathered around the wedding, one’s hometown, the family and the opportunity to have become a “Kannushi” (Shinto priest)/a “Miko”. 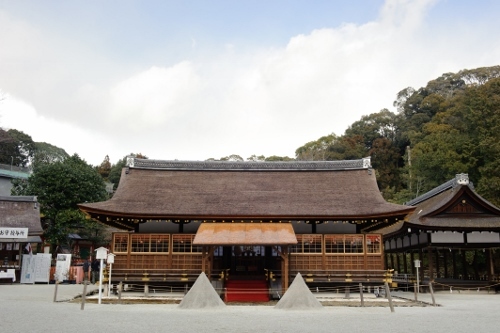 From now on, as the appoint Planning Company, including everyone from the Kamigamo Shrine, we wish to support each single precious day as hard as we can. Thank you for this happy time today.